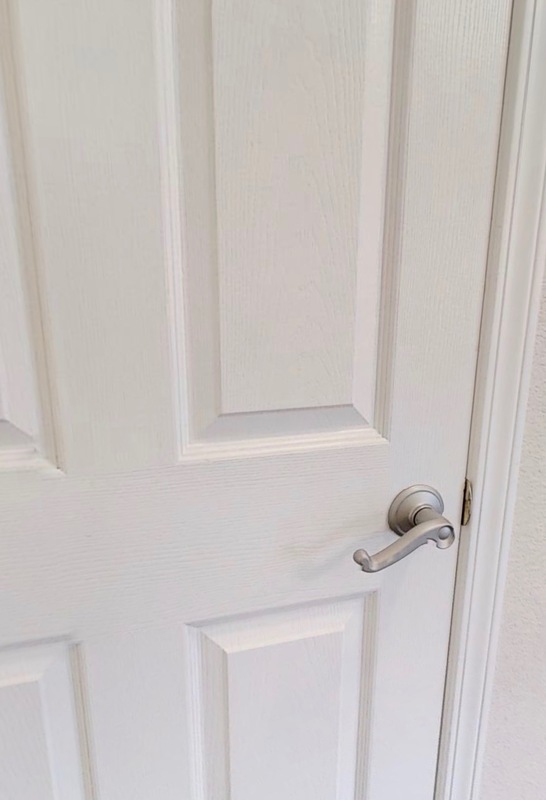 We had a realtor look at our home last year and her suggestion was to update the brass door handles. 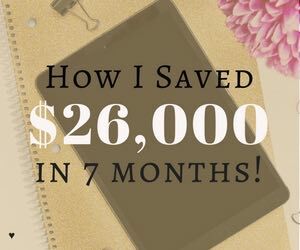 We looked into the cost and estimated replacing all of the handles at upwards of a few hundred dollars. 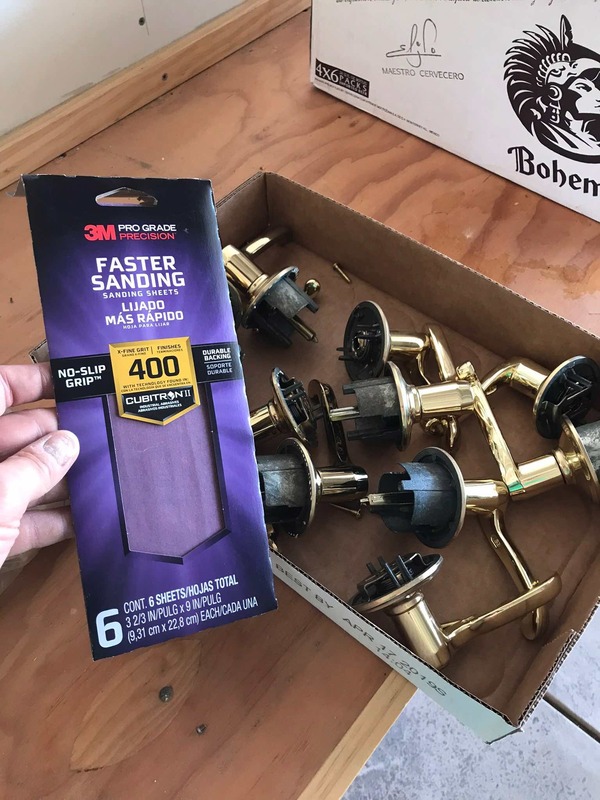 With a few quick Google searches, we were able to determine that we CAN update our brass door handles ourselves with some sanding and spray paint. So we did and they came out great! 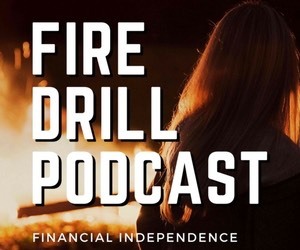 Here is how we did the entire project for less than $30. 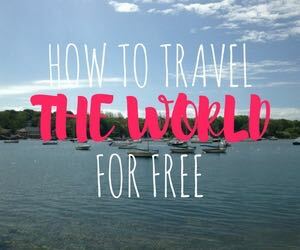 (And it wasn’t that hard). 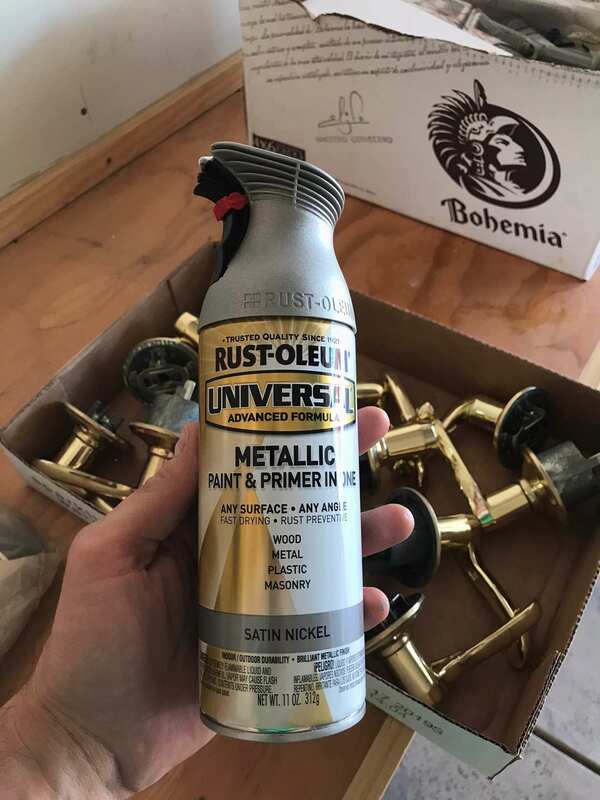 Buy Rust-Oleum Universal Paint & Primer in One (we chose Satin Nickel). Remove the brass door handles with a screwdriver. Sand the brass door handles with 400 grit sanding paper. Wipe down the brass door handles with Grime boss wipes. Spray 2-3 coats and leave them to dry 48 hours before replacing. First off, we should say that we chose the satin nickel color because we wanted the entire house to be light & bright to appeal to buyers. The rubbed bronze color spray paint (an alternative to the color we chose) also seems to be popular for updating brass door handles and widely used. It was a bit dark for our taste. We wanted our door handles to not stand out in the room and to blend in. We didn’t use any other paint but this one and applied 5 coats to get the desired color. You really need to sand the door handles well before applying the spray paint. Otherwise, you’ll get some of the brass shining through when the paint doesn’t stick. We used this sanding paper. After you sand the handles, you wipe them down with wipes. 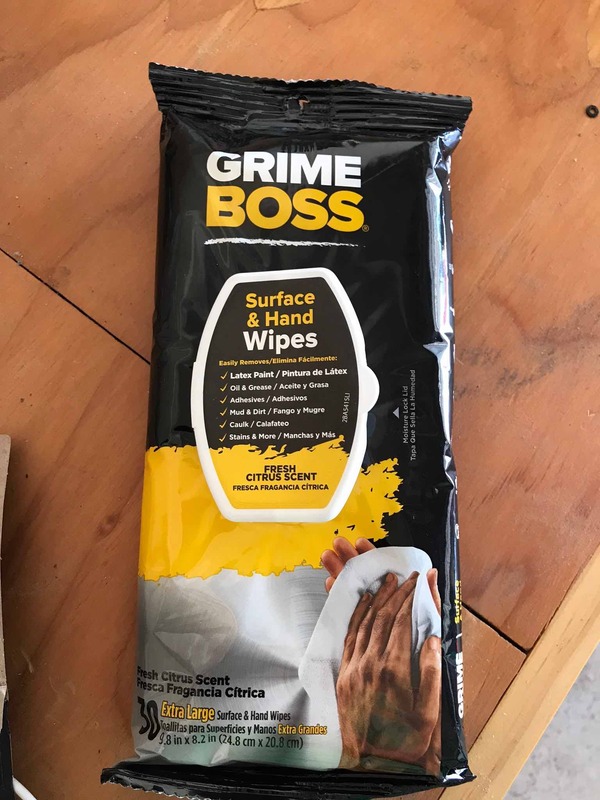 We used these Grime Boss wipes. Then you’re ready to spray paint. 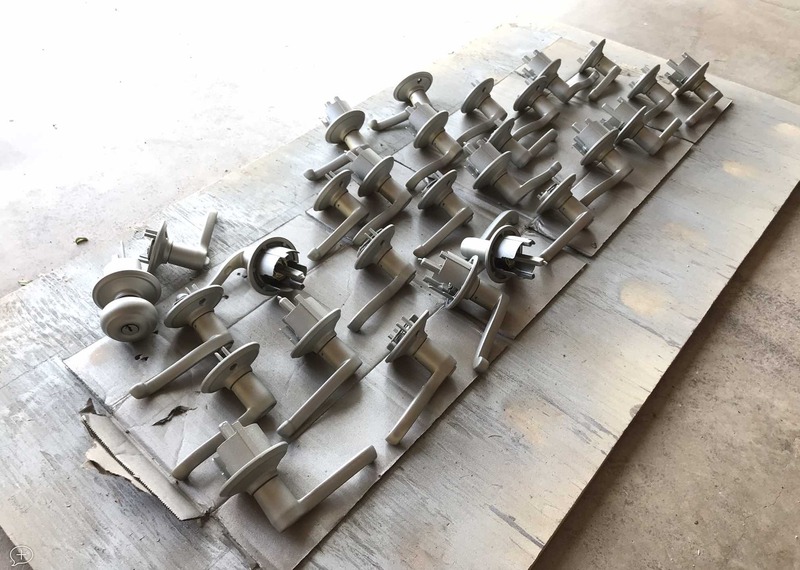 Here is what the door handles looked like as we were spray painting them. Spray paint brass shower handles OUTSIDE! This is probably obvious, but don’t ruin your house by spray painting inside. The spray paint kind of spreads everywhere even if you’re directly targeting the door knobs. We also spray painted on a wooden board which prevented our yard from getting painted. You can update brass door pulls or knobs too. 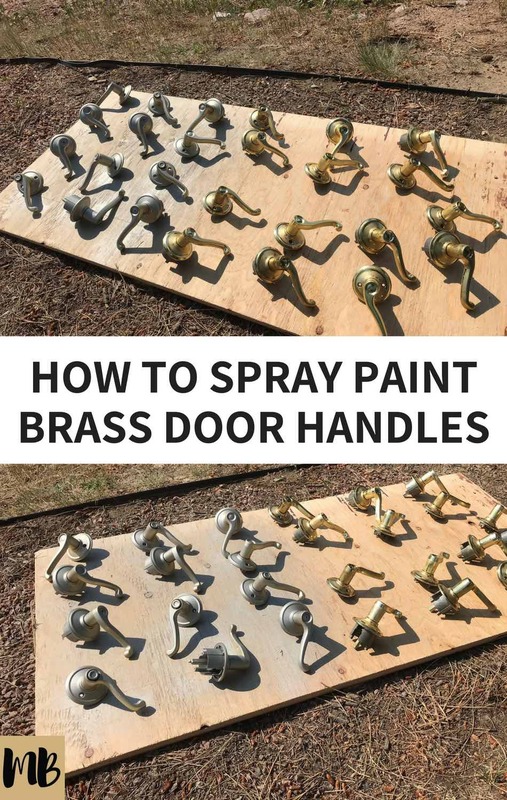 The spray paint method works whether you’re updating brass door knobs or door handles. 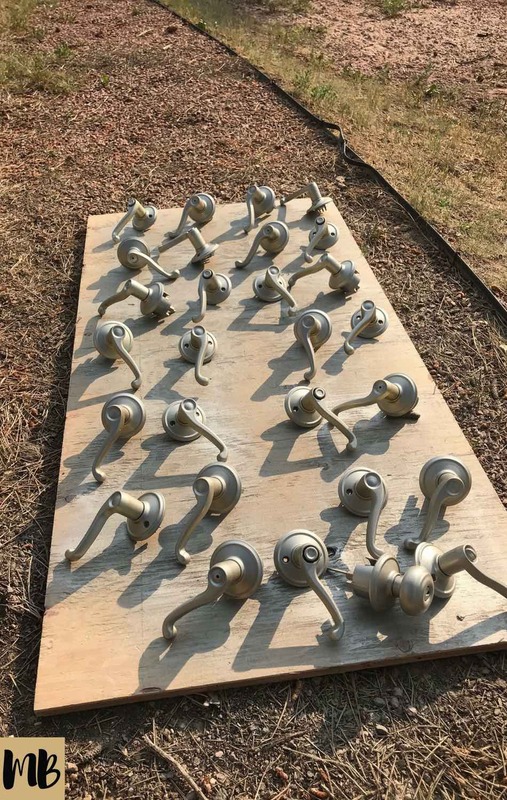 As you can see, we have a mix of spray painted door knobs and door handles. All in the satin nickel color. We did not spray paint the brass door hinges. This was not our primary home and we were trying to update the house before putting it on the market that weekend. We didn’t have time to update the brass door hinges too, unfortunately. You probably should update the brass door hinges too for the best effect. 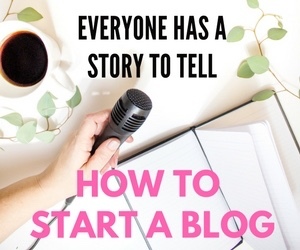 Here is a blog tutorial on how to update the hinges. We didn’t think it would be worth the risk of having sticky doors when buyers were looking at the home later that week and you could barely notice unless you looked closely. Luckily, no one noticed and we got a full price offer on our house! This is probably obvious too but the spray painted door handles will feel different than the shiny, brass door handles you had previously. I was a bit surprised by the texture of the door handles when I first touched them dry but didn’t hate it. All in all, expect to spend around $30 on this project. Pretty great! Note: We also updated our brass shower enclosure using the same materials. And we updated our brass fireplace too! 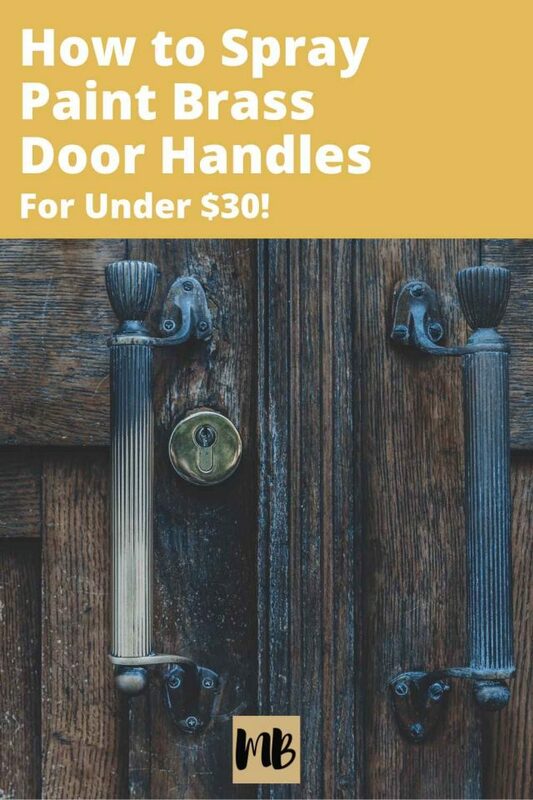 Are you planning to update your brass door handles or knobs? Such an improvement! 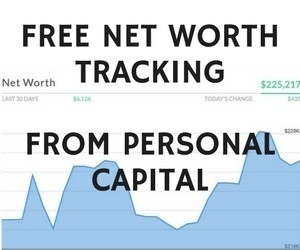 It’s crazy how $30 probably helped you get an offer! I know right?! I regret not doing this earlier. Selling a house is funny. You make all the updates you lived without for years and then realize you could have had this the whole time!